I love these muffins. They are one of my favorite baking recipes. Not only are they delicious, but they are full of a secret ingredient. 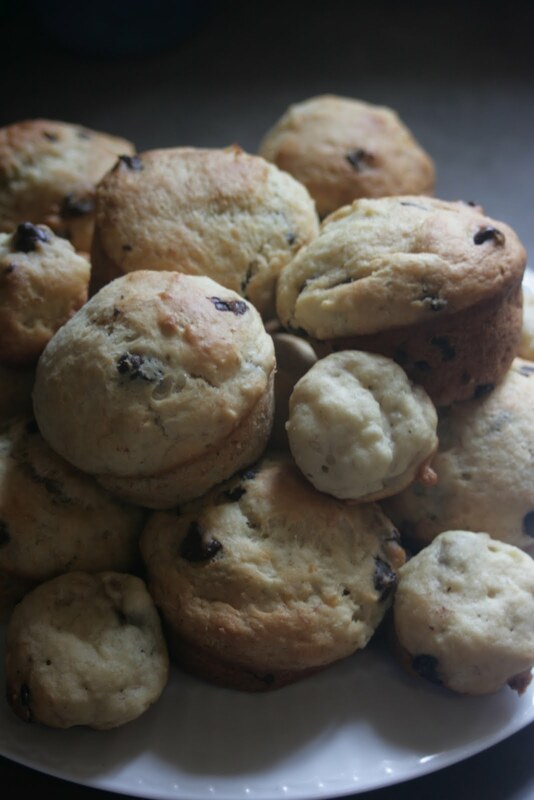 The secret to these fabulous muffins? Cauliflower. That's right. These are quite healthy and a sneaky way for me to get some veggies into my picky eater. I originally found this recipe at Once Upon a Gourmet Gin. I decided it was time to post it myself as I've adapted it a little. She uses self-rising flour, something I never have in the house. It's very easy to find a substitute. The secret formula is for each 1 cup of self rising flour, use 1 cup all purpose flour plus 1 1/2 tsp baking powder and 1/2 tsp salt. That's it. Preheat oven to 400*. Spray muffin tin with non-stick spray (or line with muffin cups) In a large mixing bowl sift together the dry ingredients (1st 5). In a mixing bowl stir together the eggs, milk, melted butter, mashed bananas and cauliflower. All to the flour mixture and stir until just moistened. Add the chocolate chips. Spoon batter into the prepared muffin cups, filling them 2/3 full. Bake approximately 15-20 minutes. Cool 5 minutes and remove from pan. ENJOY! That's a new one to me! Cauliflower who would have thought? They look terrific! My Brother, the beer expert!